The staff was very nice and kind to us. Reception is open 24/7 and for any problems/ services, they are available. I strongly recommend this structure to everyone because the quality/price is good balanced. Swimming pool was nice, clean and surrounded by guests tables serving liquors. Ground floor rooms overlooking swimming pool. Clean room and bathroom. Old lady who work there as care taker she is really nice and polite. She always help me in everything. Location is very nice to patong town.. Comfortable and many beds.. Room very clean.. So, the location is good, close to that party street (if that's important to you) and the beach is about a 7-10 minute walk. And for the money, you save a ton versus booking at other places, especially with a big group. The place is so clean, the staff did their job in handing me the keys and showing me around. The beds are so comfortable. Most importantly, I have made some great friends over there. Don’t stay here if you want to enjoy your time in patong. Decent hostel in an apartment complex. Nice spacious rooms with large beds. Only the bathroom was a little small. The arrangement for leaving luggages for while was good. 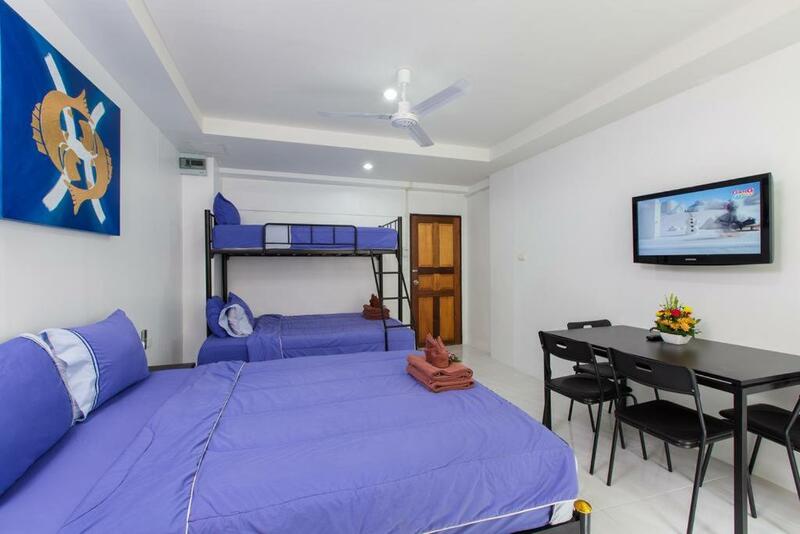 Patong Studio Apartments and Dormitory This rating is a reflection of how the property compares to the industry standard when it comes to price, facilities and services available. It's based on a self-evaluation by the property. Use this rating to help choose your stay! One of our best sellers in Patong Beach! Phuket Patong Studio Apartments is a 10-minute walk from Patong Beach and Bangla Road. It features both private and dormitory rooms with free Wi-Fi access. On-site parking is possible. 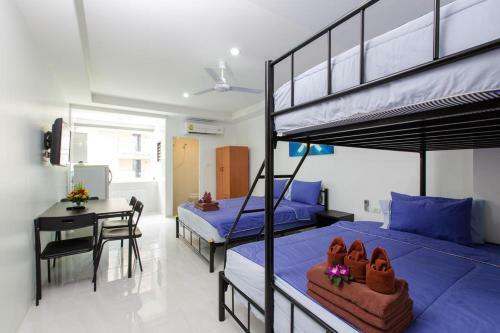 Phuket Patong Studio Apartments is a 15-minute walk to Jungceylon Shopping Center. The property is 12 mi from Promthep Cape and 14 mi from Phuket International Airport. The private rooms are complete with a kitchenette, a safety deposit box and a dining area. They also comes with a TV, an private bathroom and towels. The dormitory rooms provide all guests with bed linens, a private locker and a shared dining area. Guests have access to a shared bathroom. 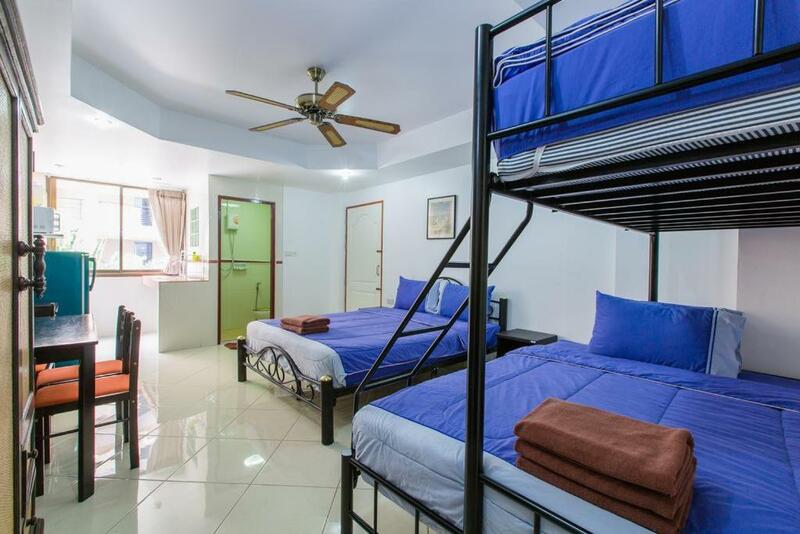 Both private and dormitory rooms are air-conditioned and boast a fan, a fridge and a microwave. Other facilities are a toaster and free drinking water. Guests can explore nearby attractions with help from the tour desk. Other services include car and motorbike rentals. An on-site mini-mart is also available. 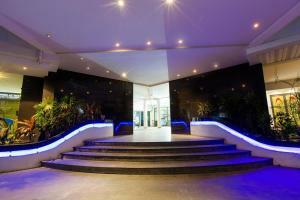 뀐 Located in the top-rated area in Patong Beach, this property has an excellent location score of 8.1! 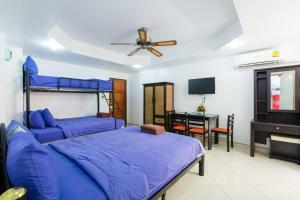 When would you like to stay at Patong Studio Apartments and Dormitory? Air-conditioned rooms boast a kitchenette and a dining area. Other amenities include a TV and a seating area. An private bathroom comes with free toiletries and a hairdryer. Please note that housekeeping services including room cleaning, bed linen changing and towels changing are provided every 3 days. 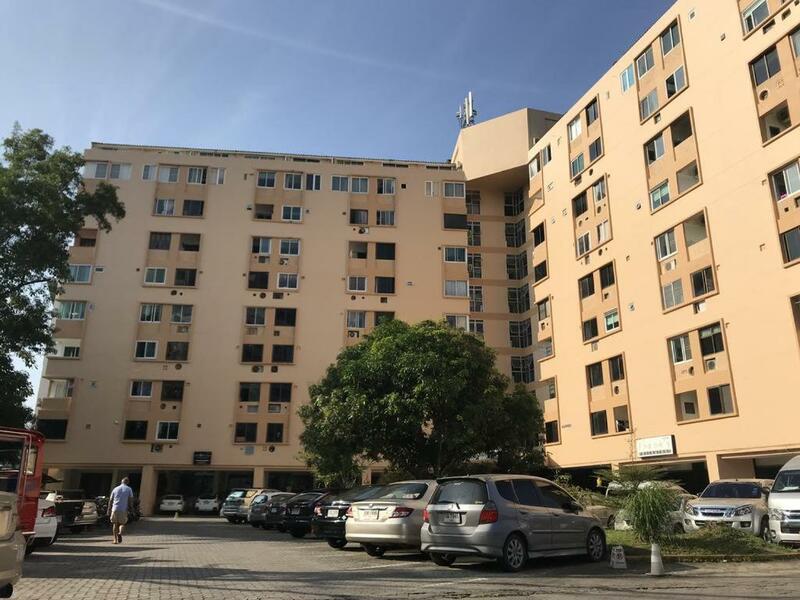 Air-conditioned studio apartment boast a kitchenette with microwave, toaster and a dining area. Other amenities include a TV and a seating area. An private bathroom comes with free toiletries and a hairdryer. 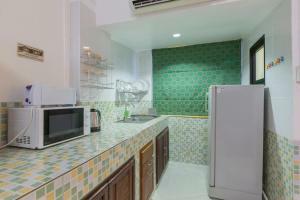 Air-conditioned apartment boast a kitchenette with microwave, toaster and a dining area. Other amenities include a TV and a seating area. An private bathroom comes with free toiletries and a hairdryer. This apartment has a tile/marble floor and a TV. This studio has a dining area, air conditioning and tile/marble floor. This apartment features a kitchenware and a toaster. This air-conditioned dormitory room offers a microwave, a toaster and an electric kettle. It also comes with a fridge, dining area and a private locker. A hairdryer and an iron can be arranged at the reception desk. Towels can be provided at an additional charge. - Air conditioning in the dormitory rooms is on between 18:00 and 10:00. - Towels are provided for in-room use only. - Housekeeping services including room cleaning, bed linen changing and towels changing are provided every 3 days. This studio features a kitchenette and a dining area. Other amenities include a TV, a seating area and a fan. An private bathroom comes with free toiletries and a hairdryer. Please note that housekeeping services including room cleaning, bed linen changing and towels changed, provided every 3 days. This studio features a kitchenette and a dining area. Other amenities include a TV, a seating area and a fan. The private bathroom comes with free toiletries and a hairdryer. 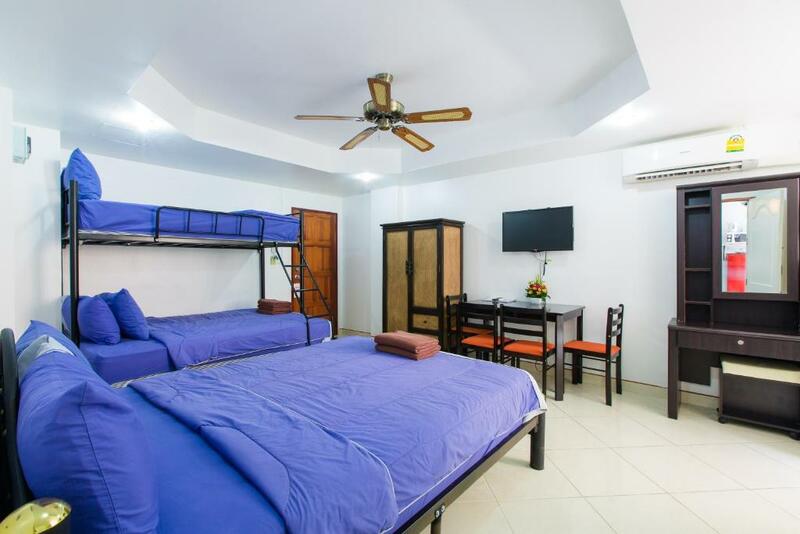 all our rooms have aircon and kitchens, all the beds are new, and good internet in all rooms, and if you want to Bing any guest back to your room its free of any charges, we have 24 hrs. receptionist on duty 7 days a week. House Rules Patong Studio Apartments and Dormitory takes special requests – add in the next step! - Guests are kindly requested to lower their voice between 22:00 and 07:00.